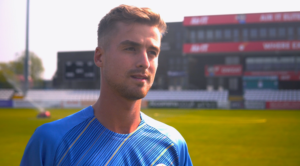 World Cup champions and World Twenty20 finalists England will return to The County Ground in 2019 for a Vitality Blast IT20 against West Indies on Tuesday 25 June. Heather Knight’s side, who ranked number two in the world in Twenty20 cricket, finished as runners-up in the recent ICC Women’s World Twenty20 with a number of standout performances from an exciting young team. England are the reigning ICC Women’s World Cup champions after triumphing in the 50-over competition in 2017 – a tournament that Derby hosted eight fixtures including a semi-final. 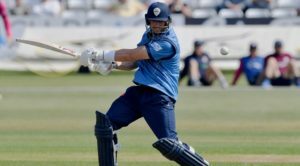 The successful England side will return to The County Ground for a floodlit Twenty20 fixture next summer to face West Indies, who won the World Twenty20 in 2016 and currently ranked number four in the world. Tickets for the fixture will go on general sale on in March 2019. 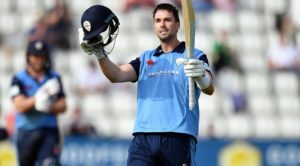 Derbyshire Members will be able to claim a ticket, in advance of the fixture, at no extra charge as part of their 2019 Membership package. Interim Chief Executive, Ryan Duckett said: “This is an exciting England side who have achieved huge success over the last few years in both world tournaments. “The popularity of the women’s game continues to grow and we’ve seen great crowds at venues across the county, including at Derby last year and during the world cup in 2017. “We hope the local community will once again get behind this match and support the growth of the women’s game in the region. New benefits for 2019. Club Membership for 2019 is on sale now, giving you more from your Membership. Buy before our 1st February Early Bird deadline and save £20.